LBBC’s Boilerclave® leads the industry for autoclave dewaxing applications whilst the Core Leaching Autoclave remains the benchmark in efficient, safe and accurate ceramic core removal. 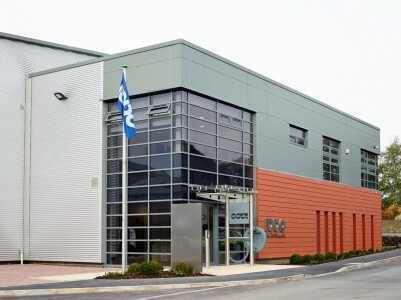 As a world leading technology company specialising in the investment casting sector, LBBC Technologies based in Leeds, United Kingdom have recently confirmed ISO9001 accreditation. As part of LBBC Technologies’ extensive R & D into the core leaching process, as presented in a paper at ICI 2013 by Howard Pickard, the company have developed a new ceramic core leaching model to extend the range of component and core geometry that can be efficiently leached. This unit now provides a solution for the commercial and medical sectors as well as low volume aerospace components. The unit maintains the same basic processing system as has been proven on the many larger core leaching systems supplied to aerospace and IGT foundries throughout the world. As with all LBBC Technologies systems, the unit incorporates the highest levels of safety design. The new unit has demonstrated how ceramic cores, traditionally removed by other techniques in days, can be removed in hours in a safe and controlled environment. LBBC Technologies are exhibiting at GIFA 2015, Dusseldorf, Germany in Hall 13, Stand A30-9 from 16th to 20th June 2015 where they will be showcasing their new core leaching unit. The Leeds Manufacturing Forum provides a platform for supporting Leeds-based manufacturers of all sizes and from all sectors of industry to help them improve and grow. Leeds Manufacturing Forum is made up of representatives from manufacturing companies across the city. It was set up to help give manufacturers a collective voice and enable them to influence policy and decisions that affect the sector. Leeds Manufacturing Forum is facilitated by the Manufacturing Advisory Service (MAS) and Leeds City Council (LCC) to give local manufacturers a platform for sharing knowledge and debating issues relating to manufacturing. The Leeds Manufacturing Forum Steering Group held their meeting at LBBC Technologies new facility on Friday 6th March 2015. It gave the 11 members, strongly represented by Leeds City Council, a chance to see the new design, R&D and manufacturing facilities. Business Minister, Matthew Hancock said: “This new facility will house the most advanced blade casting facility in the world and is a truly remarkable feat of engineering. When fully operational, it will create 150 high skilled jobs and support the local economy. The turbine extracts energy from the hot gas stream delivered by the engine’s combustor and uses it to drive the fan and the compressors. The blades produced in Rotherham operate in the hottest part of the engine at temperatures up to 200 degrees above the melting point of their alloy and sit in a disc that rotates at more than 12,000 rpm, creating a centrifugal force equivalent to the weight of a London bus hanging off each blade. They are grown in a special process which ensures that they are created from a single metal crystal to maximise their strength. They are then coated with a heat-resistant ceramic and when in use they are cooled with air that passes through a series of precisely placed holes in the blade. The ABCF will have ground-breaking automated manufacturing techniques including integrated wax fabrication lines, 3D structured light inspection, which measures the entire surface of components and computed tomography (CT), which has the ability to measure deep into the blade’s internal structure. These techniques have helped reduce the time it takes to manufacture a turbine blade by 50% while producing a step-change in component performance. 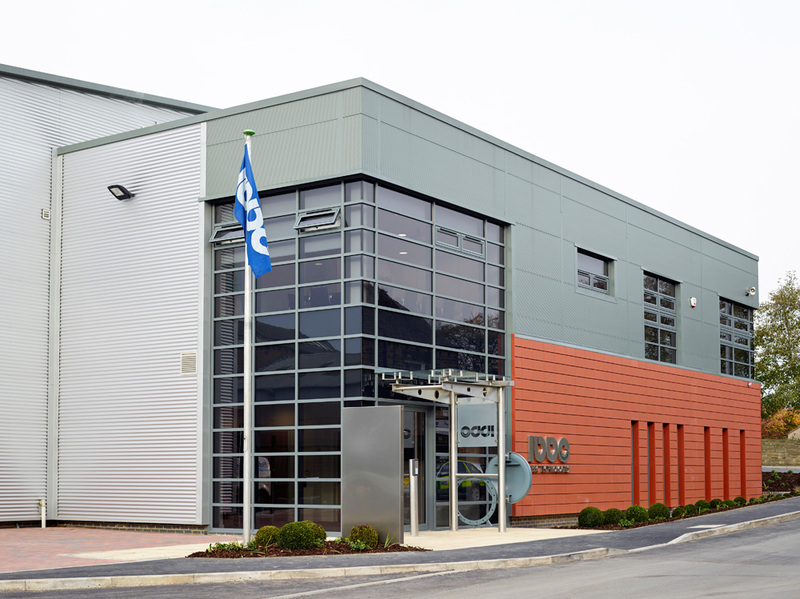 This state of the art facility makes use of manufacturing methods developed within Rolls-Royce and at the Manufacturing Technology Centre, Ansty, near Coventry. Some of the £15m investment by the UK Government was used by Rolls-Royce to develop these techniques. There are two types of turbine blade manufactured at the Rotherham facility: high pressure (HP) and intermediate pressure (IP) single crystal blades. There are 182 turbine blades of these types in each Trent XWB engine. One HP turbine blade extracts around 1000 horsepower from the gas flow towards the rear of the engine, which is equivalent to the power of a Formula 1 racing car, to drive the engine’s compressors. Each blade is approximately 10cm in height and 300g in weight and goes through 200 processes before it is ready to be installed. To ensure successful dewaxing, it is necessary to follow certain guidelines. Main objective to avoid shell cracking is to melt the wax at the wax/mold interface to allow the wax to be absorbed into the prime coat and create space for the remainder to expand. The critical time is from the mold being removed from the shell room to being at pressure in the autoclave. Short simple steam transfer from boiler section to autoclave section. The LBBC dewaxing Quicklock® Boilerclave® has been supplied to the industry for over 50 years and is used by most of the leading investment foundries in the world. The removal of wax from molds is an important stage in the investment casting process that reduce yield if not performed correctly. “Being a local SME, it is important that we explore the opportunities the University of Leeds can offer us, using its expertise and facilities to further our product innovations. “We identified the KTP initiative – run by Innovate UK – as the most effective form of collaboration and are nearing the end of a highly successful two and a half-year programme. During the recent Manufacturing Advisory Service (MAS) and Leeds Manufacturing Forum-backed visit to the University of Leeds’ new £4.3m EPSRC National Facility for Innovative Robotic Systems a rallying call was made. Yorkshire manufacturers were urged to embrace robotics and autonomous systems if they are going to make the most of new global opportunities and bring innovations to market. More than 40 local manufacturers were given access all areas in a bid to showcase the opportunities for collaboration with Universities and how new technology – including one of the world’s largest multi-material 3D printers – can be used to develop new products, introduce new processes or build larger components. LBBC Technologies have further expanded their process technology knowledge through a KTP projects with University of Leeds and an EngD project with University of Birmingham in conjunction with Rolls-Royce. Over 150 delegates attended the 8th ISIC conference which ran from 8th to 10th November in Kaohsiung, Taiwan. Following the conference a number of foundries met with Howard to discuss in more detail the technicalities of core removal and have subsequently sent parts for LBBC Technologies to run trials at their Leeds based facility. With LBBC Technologies new developments in the revolutionising core removal and the recent launch of their new core leaching unit, Howard Pickard was requested to present on core removal at the International Seminar of Investment Casting-KHH and Taiwan Foundry Society’s conference. Leeds City Region LEP supported the £1.5m project with a £130,000 grant from the business growth programme with Leader of the Council, Cllr Keith Wakefield and Cllr Richard Lewis, Executive Member for Transport and the Economy attending the opening and expressed their support. The event, well attended by business leaders from the local area, was an opportunity to hear more about the history of the company originally established in 1876 with current directors, Howard and Robert Pickard being the fifth generation to run the company. Guests enjoyed a tour of the new facility highlighting the extensive R&D work being carried out in conjunction with Rolls Royce and the universities of Leeds and Birmingham through KTP and EngD programmes. There were demonstrations of the latest control system designs, solid modelling and 3D printing technology. The assembly area contained equipment destined for various countries including Europe, USA and China as well as equipment to be supplied for the latest Astute submarines being built by BAE Systems in Barrow-in-Furness. Tech Castings are offering their new core leaching capability to other foundries in the USA.